This week the Horror Duo take a look at a pair of 50s sci-fi classics in an attempt to understand the dangers in modern technology. Forest reviews This Island Earth, the subject of the MST3K Movie. 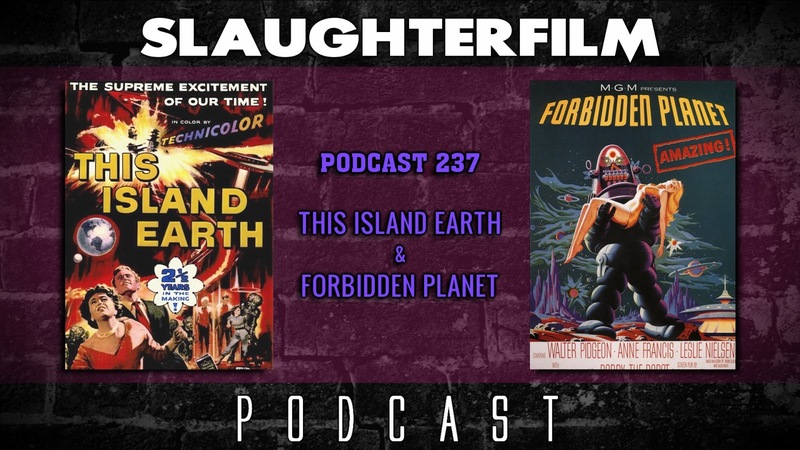 Cory shares his thought on Forbidden Planet, starring Robby the Robot. They also chat about their New Years celebration, the return of Ronda Rousey, and Unsolved Mysteries finding it's way onto Amazon. All this and Cory unleashes his ID unto the world! For more Slaughter Film news and reviews, as well as show notes and special events, make sure to visit our website; SlaughterFilm.com.